The problem with the fly angler is this, we spend the vast majority of our time on earth in an almost constant obsessive stalking of fish. Days are meticulously timed out to allow the proper number of hours to read, fly tying, possibly rod building, beer drinking, practice casting, and most importantly, the act of fishing itself, which naturally is allotted the largest slot of time. Those who occasionally fish will pass up the opportunity to go if they feel that the odds are stacked against them, the devoted angler does not. 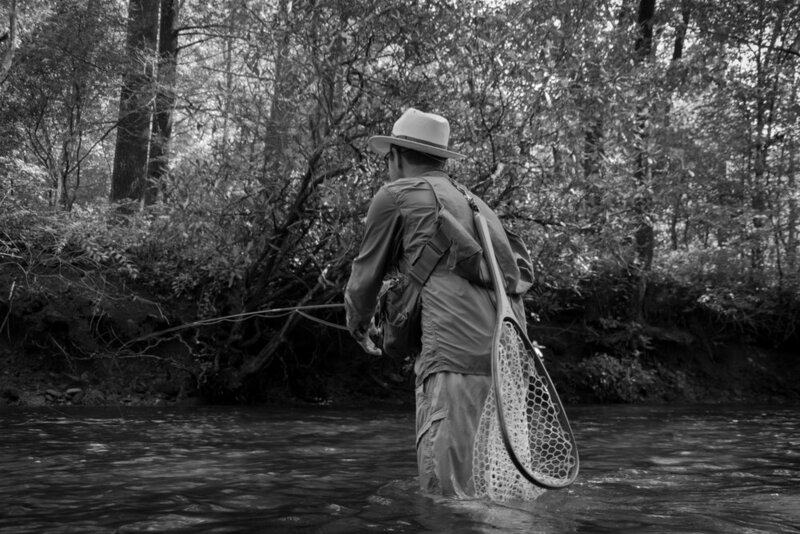 Perhaps in some ways, the occasional angler is much smarter than the full-time angler, but I've never met a fly fisherman who claimed to be smart or sane. Summer has hit us hard in this part of the world. The rain is becoming less frequent, temperatures are beginning to rise to unbearable numbers with no relief in the evening, and the trout have decided that they no longer want to play. I don't blame them, even my dogs would rather spend the day lounging on the cool wooden floors than participating is any active nonsense. It's the time of year where you wake up before the sun and quit well before lunch time. Landing a large trout is no longer a goal, instead, you've become a master at breaking them off of your barbless hooks. Tubber hatches begin at 11 o'clock almost every day and even if you were having a decent morning, it's over now. The odds of having a phenomenal fishing day are stacked horribly against you. Because really, what else would you do with your time?